As value-based care programs become more popular, healthcare organizations across the globe must work to improve the way they deliver care, particularly if they want to reduce unnecessary hospital readmissions. Telehealth, for example, can spearhead better-quality care, making it easier and more accessible for vulnerable patients to receive help in rural long-term care facilities from afar. 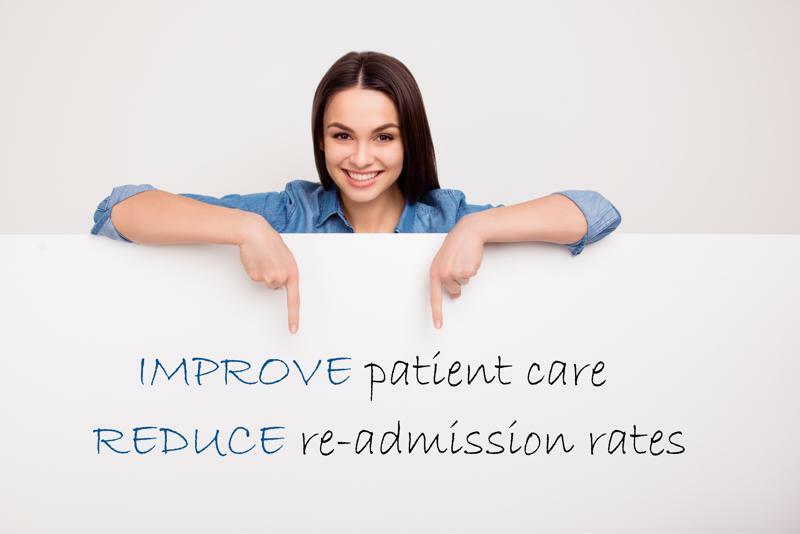 With readmissions guidelines changing in October - which will penalize hospitals and facilities that readmit patients within 30 days - healthcare professionals need to consider how beneficial the implementation and utilization of telehealth has already proven to be. Telemedicine is beneficial across healthcare settings, but it's considered a widely valuable asset in nursing homes and skilled nursing facilities, according to Waseem Ghannam, MD, MBA, MHSA, a hospital medicine physician and CEO and co-founder of TeleHealth Solution. "It (telemedicine) has been a breath of fresh air for this industry because it's needed in the post acute care space sector," said Dr. Ghannam. When patients are in poor condition during the middle of the night and there isn't a doctor available, sending these individuals to the hospital is disruptive and unnecessary. With telemedicine, patients can be treated, by a certified physician, on the spot, in a comfortable and effective manner. "There's a lot of literature that shows, especially in geriatrics, when you move somebody at two o'clock in the morning, it's disruptive to them," shared Ghannam. "It's very disruptive to their circadian rhythm versus that patient having a condition that you could potentially treat in place. How nice would it be that you could see them in their room remotely, examine them, prescribe a medication or treatment plan and update their family that [he or she] was taken care of in a concierge level manner almost immediately and at a much more cost-effective rate." Many proactive skilled nursing facilities around the country are beginning to catch on as companies like TeleHealth Solution are truly making an impact on patient outcomes, re-admission rates, and effectuating change in the way facility staff see "overnight coverage". Starting in October of 2018, hospitals and facilities will be penalized for readmitting patients within 30 days under the Protecting Access to Medicare Act. Essentially, Medicare is starting to withhold 2 percent of each nursing home's gross annual budget for sending patients back to the hospital a month after initial admission. By utilizing telehealth technologies, SNFs and nursing homes can connect with doctors and specialists which will save the facilities money, improve care for the patients and enhance the overall experience for all parties involved. "The key ingredient to delivering quality care at post-acute facilities is being there in minutes, when the patient needs you most, said Dr. Ghannam. "The beauty of the technology we use, is that it works on-time every time." Facilities intrigued by telehealth shouldn't just look to invest in useful technology. They should engage with a provider in the industry that proves to be a true partner and can scale with them as they grow. "It's not looking for a vendor - it's looking for a partner, and that's what defines our success," said Ghannam, speaking to his company's partnership with AMD Global Telemedicine. "I bring them some of our critical challenges and they can adapt their technology to meet our clinical needs and ensure their platform is as simple as possible for remote physicians and the onsite staff to use." Working with an industry leader in telehealth ensures your facility meets its bottom line while delivering quality care to patients. Learn more about how you can partner with AMD Global Telemedicine. Are you attending the AHCA/NCAL meeting in San Diego next week? We would love to connect with you at the show. Come see AMD in TeleHealth Solution's booth #942 or attend Dr. Ghannam's presentation on Tues, Oct 9 at 7:45am – How Telemedicine Enhances Treating in Place in Skilled and Assisted Living Facilities.